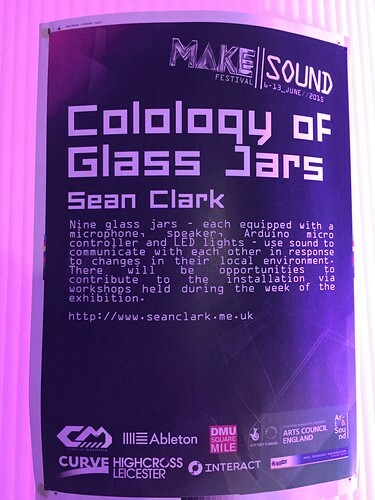 A Colloquy of Glass Jars is a connected digital art piece by Sean Clark in which Arduino-based 'Jam Jar Computers' communicate with each other using sound and light. 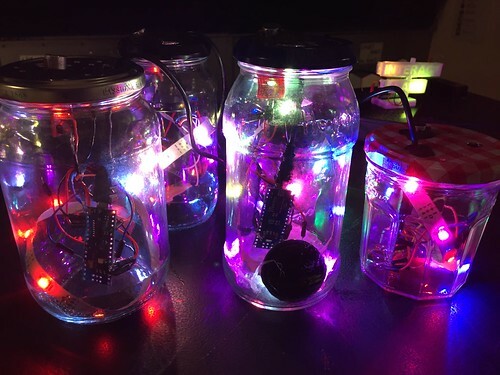 Each jam jar contains an Arduino Nano with a microphone and speaker, LED light strip and (optionally) a light sensor. 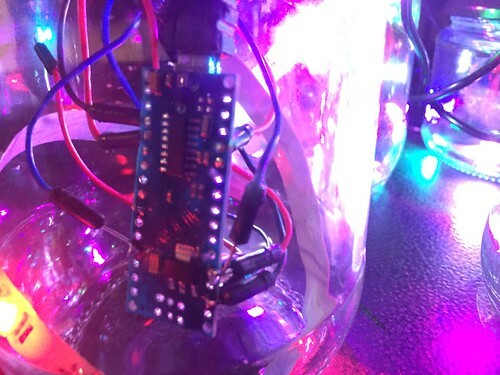 When a change in sound (or light) is detected a jar responds with a change in its own lighting state and a tone. 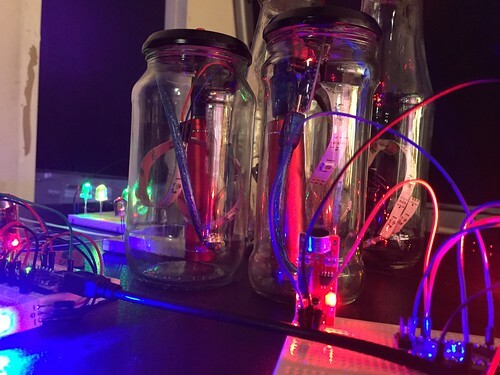 When a number of jars are placed together they begin to respond to each other as well as external sounds. 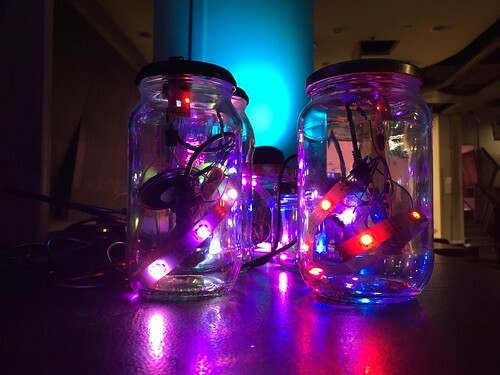 When six or more jars are colocated it was found that a single external sound results in a long audiovisual 'conversation' between the jars. 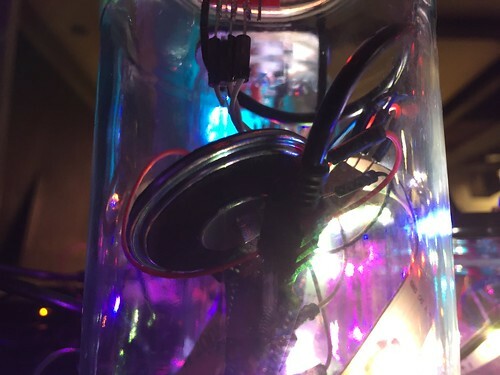 The piece was named in reference to a piece of work at the seminal Cybernetic Serendipity exhibition in 1968 by Gordon Pask. 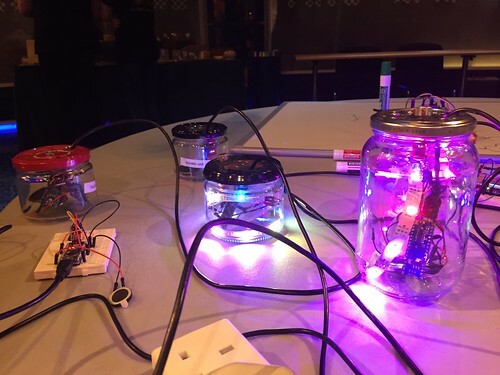 The Jam Jar Computer is a simple Arduino-based computing device that Sean Clark created for use in educational workshops. 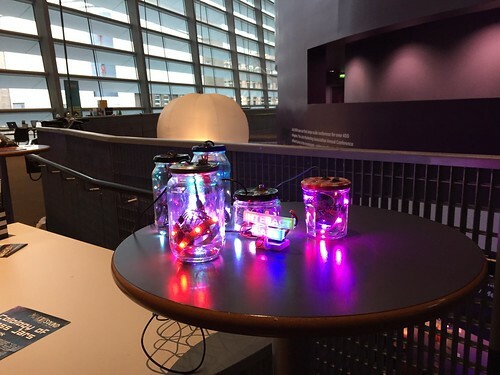 Containing both sound and light inputs and outputs, he has used it to teach simple programming, as well as using it as a 'unit of computing' for artworks such as this.